Spend Less and Stay Healthy. Here’s How You Do It! Over the recent years, the truths about many foods (and food industries) exposed to the public have made ‘eating healthy’ quite a popular topic – and rightfully so. While many (a majority actually) have embraced the facts and feel obliged to make the right decisions regarding their wellbeing, many choose to ignore this knowledge and continue living an unhealthy lifestyle. Working towards a healthy lifestyle is easier said than done; especially because instant gratification is almost a necessity amongst the people of today. 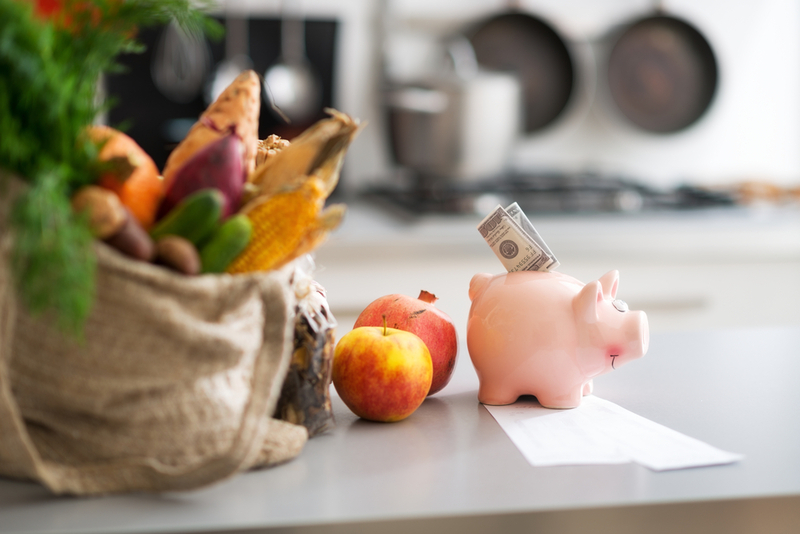 More than actually knowing how/what to eat healthy, many people choose not to take this path because they simply do not know how to budget eating healthy; “it’s too expensive to eat healthy” is a common excuse thrown around. For people that are used to making fast-food their go to choice (which is a great portion of the population), taking this path is definitely going to come as an inconvenience; going from paying $1 for a burger that is in your hands in less than 5 minutes vs. going out of your way to shop for each of the ingredients and taking the time to prepare it is obviously going to make this path unappealing. Unfortunately, staying healthy and instant gratification simply do not go hand in hand but we can help you budget a healthy lifestyle if you are willing to get past this; one that will not only save you money in the long run, but prolong you wellbeing (and perhaps save you from dreadful illnesses and medical bills at a later age). We all have favorite fruits and vegetables, but ideally we should not try to eat them throughout the year. You will be astonished to see the price differences for the items when they are in season vs. when they are not. The best example I notice is with watermelon. During the summer, the largest of watermelons could be found at about $4-6 whereas the smallest pre-cut container of watermelon in winter (which would be 10th the size) cost over $8. The best way to go about it is to educate yourself about the seasons your favorite items bloom in and just stick to them – plus, they taste tenfold better when they are in season. Being healthy is cheaper when you rely on raw foods instead of packaged ones; it just makes more sense to buy a ten pound bag of rice that typically goes between $7-12 vs premade servings for $2-3 (which of course are also not very healthy as they are likely to contain preservatives). Grains, especially, should always be purchased in high volumes to get the best for the money. Also, apply this mindset to all other foods; you can buy fruits, vegetables, and other perishables in bulk and just freeze them to avoid spoilage. Buying on sale is the best time to save money and it is highly advised to capitulate on such occasions by buying the maximum amount allowed. You will save a boat load of money if you go food shopping with a plan – however you must stick to it or the purpose gets entirely defeated. Give yourself a number to work with and fill it with the (healthy) items you need – and do not deter from it. It is also advised that you do not hit the store on an empty stomach – you are just asking for bad decision making by doing so. Going to an Indian or Chinese store may be something you would find uncomfortable (if you are not of such descents), but the amount you will save (and the experience you will have) will be worth expanding your comfort zone. Almost everything in these stores is cheaper and savings will pile up immensely if you stick to them for a long run. Plus, you may just encounter different spices/ingredients that may widen your cooking abilities. Most of the times people end up buying more of the same things because they simply have no idea of what they still have and what they do not. Organizing you storage will allow you to not waste your food and save you money. Storing items in labeled containers is a great place to start. Like we mentioned before, eating healthy is not a short term project and you to adopt it as a permanent lifestyle. You are going to realize what a breeze it is once you get comfortable and experienced with shopping healthy. Remember, real savings happen when you rely on raw ingredients and say no to anything processed – in fact, do not buy any product that has a commercial on the TV, just assume it has something in it that you shouldn’t have. Too little of certain nutrients can contribute to health issues. If you are not used to eating a healthy diet that promotes your well-being, making gradual changes can help you improve the way you eat in the long run.